PT Wijaya Karya Bangunan Gedung - WIKA Gedung or referred to as "PT WIKA Gedung" is an Indonesian property and high rise building construction company with rapid business expansion. The Company running business in providing a wide range of construction services in high rise building projects. Its business include building construction, technical services, investment project and land development, and property. PT Wijaya Karya Bangunan Gedung was founded in 2008 as a building construction subsidiary company of PT Wijaya Karya (Persero) Tbk (WIKA Group), one of the largest general construction company in Indonesia which is majority owned by the Government of Indonesia. At present, WIKA Gedung is 99% owned by PT Wijaya Karya (Persero) Tbk and 1% by WIKA Employees Cooperative. Achievement and performance of WIKA Gedung in 2014 shows good results achievement. According to PT Wijaya Karya (Persero) Tbk Annual Report 2014 as cited by JobsCDC.com, PT Wijaya Karya Bangunan Gedung reported total sales of Rp 1,218.86 billion in 2014, grew by 4.04% from Rp 1,171.50 billion in 2013. Total net profit continue to grow by 54.87% to Rp 65.37 billion from Rp 42.21 billion in 2013. 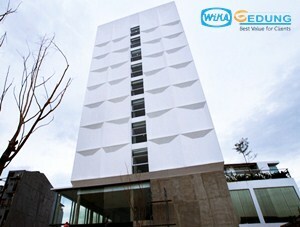 Willing to be relocated in all working units of WIKA Gedung. Expertise with computer applications/softwares in the field. JobsCDC.com now available on android device. Download now on Google Play here. Please be aware of recruitment fraud. The entire stage of this selection process is free of charge. PT Wijaya Karya Bangunan Gedung - Fresh Graduate Program WIKA Group April 2016 will never ask for fees or upfront payments for any purposes during the recruitment process such as transportation and accommodation.